Hanger steak, also known as onglet, has the dual benefit of being packed with flavour yet still relatively cheap compared to other, more popular cuts. 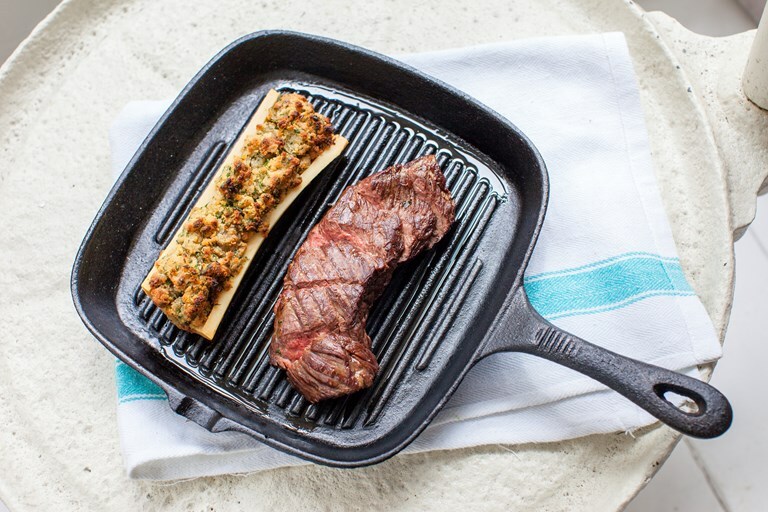 Mark Hix takes his grilled hanger steak recipe to new heights with a glorious, golden accompaniment of rich bone marrow mixed with buttery shallots, garlic, parsley and crisp breadcrumbs. Serve with a large salad for a fabulously decadent low-carb supper.